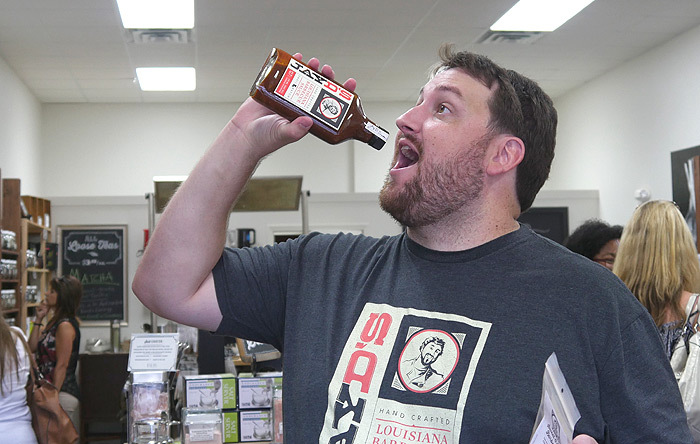 Jay, who is a self-proclaimed food ambassador for Louisiana, is the creator of BiteandBooze, a food and drink blog highlighting all things related to Louisiana food and drink. He also has a radio show called Bite and Booze Radio Show where he talks primarily about the Baton Rouge food scene. 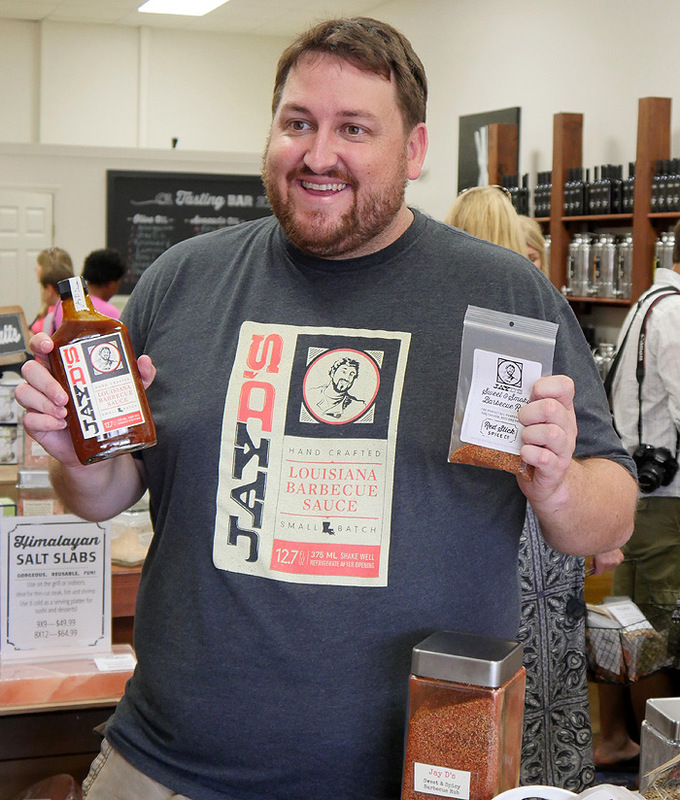 About a year ago Jay bottled his own barbecue sauce, called Jay D’s Louisiana Barbecue Sauce and he recently released a vintage of wine in collaboration with Louisiana Landry Vineyards . He is an all-around genuine & authentic Louisiana guy! Jay and I have been friends since 2011 when we worked along with several other bloggers on a cookbook promotion for Emeril Lagasse. We have since blogged together on various other campaigns through our Virtual Potluck group. I was fortunate to have met Jay in person during a food tour of his hometown of Baton Rouge. And have shared the stage with him as a judge for the Annual Fete Rouge competition. I’m excited for Jay and want to raise a glass in his honor. I know what I will be watching on Sunday and I hope you will be too! Gotta love the shape of that bottle! Geaux Jay! Love this post! Geaux Jay! Love these candid shots -- Geaux Jay! Love the photo of Jay guzzling his sauce. I bet I know where we'll all be on Sunday night! I'll definitely be cheering him on tonight! I need to try that barbecue sauce. How fun to see a friend compete on TV! Good luck to Jay!